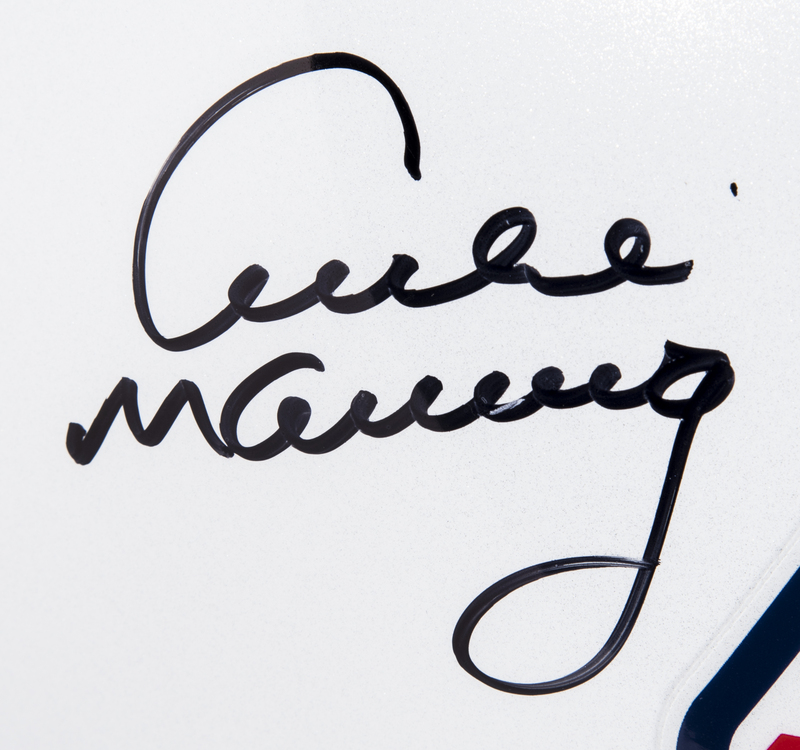 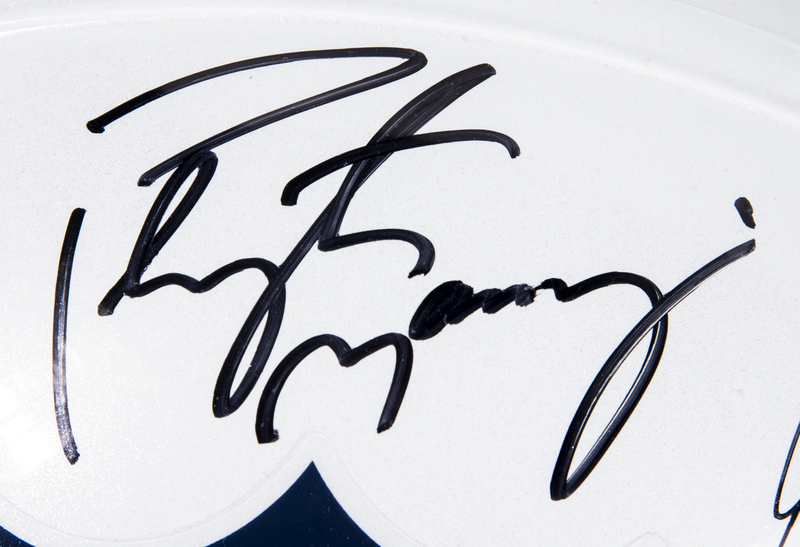 America’s first family of quarterbacks has signed this white NFL helmet. 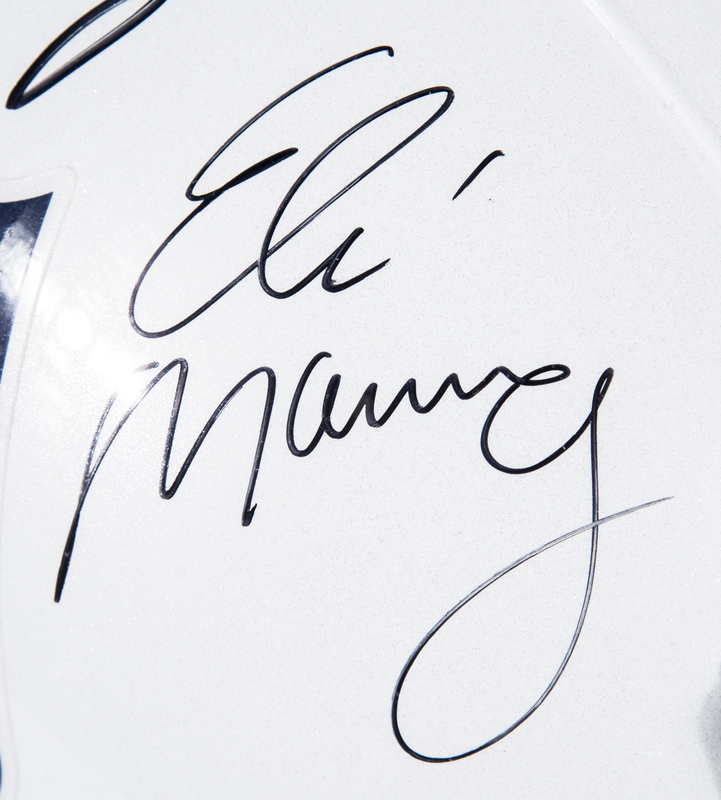 Peyton, Eli, and Archie Manning have all placed their black marker signatures on the right side of this Riddell helmet. 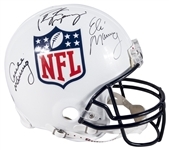 NFL shields are applied to each side of the helmet. 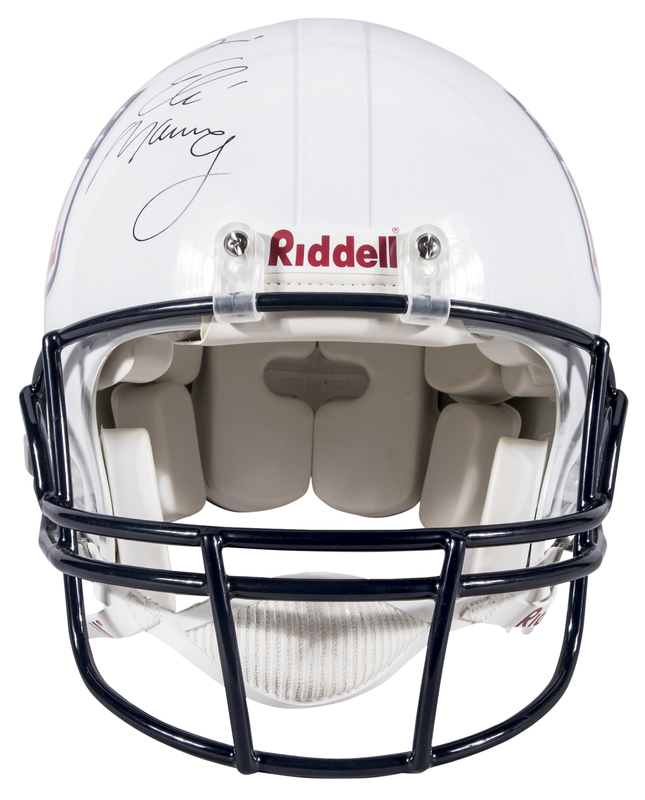 The facemask is blue, and the interior padding is intact. 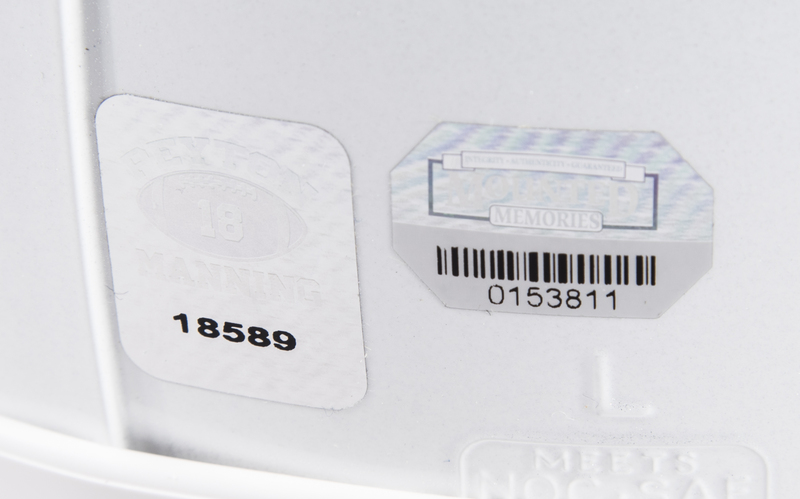 This helmet comes with a Mounted Memories hologram (0153811).